Austad’s Golf is pleased to bring you the Midwest's most comprehensive golf show... the 2019 Great Plains Golf Expo, presented by Sanford Power Golf Academy! Try all the new 2019 clubs. Talk and buy from Manufacturer’s reps from Mizuno, Titleist, Callaway, TaylorMade, Cobra, Ping, Tour Edge, Wilson and many more. Buy and get special show pricing. Experience all the new programs and activities from Sanford Golf. Talk to Sanford fitness experts to be ready for spring. Get a golf tune up from the Todd Kolb team. Shop over $500,000 in specially priced inventory. Clubs, shoes, apparel, balls, gifts and much more, all at up to 70% off. Make 2019 your year with new apparel and equipment on Sale! Talk with all the local courses, sign up for show specials that will save you money in 2019! Shop over 40 vendors that have great products and services to help you enjoy the summer. Have a cold at our 19th hole lounge. Local Fargo micro beers will be featured. Get a free Spring Tune-up from a PGA professional. They will analyze your swing and give you some great tips to improve your game. Listen to informative speakers at our stage. Instruction, information, rules, contests and more will be held throughout the weekend. Bring the kids! Under 10 and First Tee kids get in free. Check out all the new motorized carts to see the latest and greatest in comfort. Be one of the first 500 on Saturday to get a free goodie bag with specials worth well over $100. Austad’s Fargo Golf Expo will be held at the Fargo Civic Center, and welcomes golfers of all abilities, February 23 and 24, 2019. This event's purpose is to further educate the community about golf and the various opportunities available in North Dakota for golf enthusiasts. 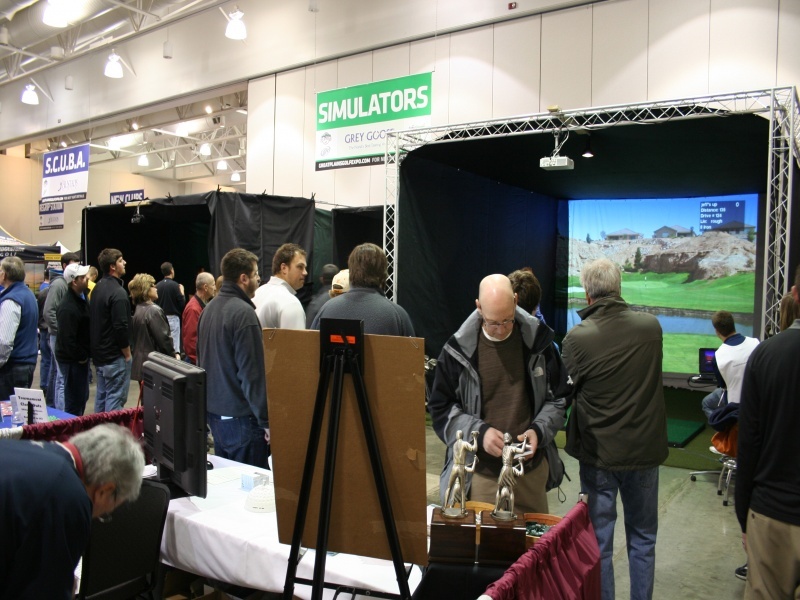 Austad’s Fargo Golf Expo offers something for everyone involved in the golfing industry and provides the ideal venue for golf retailers/manufacturers, golf-related companies, and all your golfing buddies to meet, under one roof! To reserve your booth, choose the spot you desire that is not already reserved, then call us at 605-261-1018 or nwimer@austadgolf.com to register. Keep in mind, that Exhibitor Booth registration fees are non-refundable. If you have a question, please do not hesitate to call or contact us. Thanks for joining us at Austad’s Fargo Golf Expo. Booth includes: Piping, drapes, one table, and two chairs. Wifi is provided in the facility. © 2018 austad’s golf, inc.
Sign up to receive news and updates about the Great Plains Golf Expo.